We’re really pleased that with the support of the Electromagnetic Field (EMF Camp) we’ve been able to offer a further round of supporting for three more tech events with a £500 Fairer Tech Event grant. Here’s more about the events committed to making their event fairer and more inclusive. Startup 54 is a unique approach to incubating young entrepreneurs by social enterprise Foundervine. These events bring together up to 60 18–30-year-olds from communities under-represented in the digital tech ecosystem to form teams and launch a successful startup in 54-hours. Their most recent event, on 8–10 March focused specifically on inclusive fintech. Unlike most fintech programmes, more than three-quarters of these bright sparks were from an ethnic minority and over 60% women. Over the course of the weekend, these fledgling founders took start-up ideas from rough concept to full business plan before pitching to actual investors. Some of the start-ups pitched at their latest event included a savings app to help young people get on the property ladder, a credit score checker for small businesses and a peer-to-peer lender. Foundvine’s ambition is to address the social and economic inequality that’s faced by women and young people from ethnic minority backgrounds when starting a business. 116 founders have taken part to date and you can read more about Foundervine and their Startup 54 series in The Times’ write-up of the event. 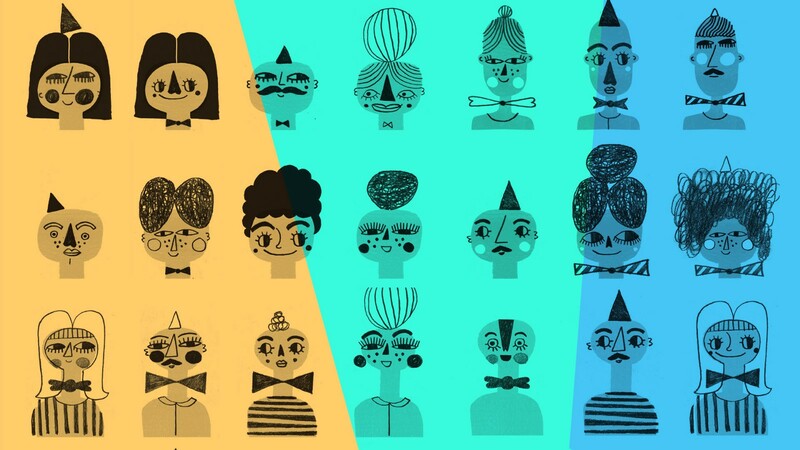 Foundervine is now gearing up for their annual inclusive startup festival, Founderfest 2019 on 11 May, as well as their first regional Startup 54 in Bristol this June 2019. How has the Fairer Tech grant helped make Startup 54 fairer? The Fairer Tech grant allowed Foundervine to offer 15 fully-funded places to join Startup 54 to those in need of financial assistance to attend, as many of their attendees come from low-income backgrounds and can struggle to cover the costs of taking part in the event which includes travel to and from the event for three consecutive days. The grant also helped to cover volunteers’ expenses. Glitch is a young and ambitious not-for-profit organisation that exists to end online abuse and make the online space a safer arena for all to use, particularly women and girls. 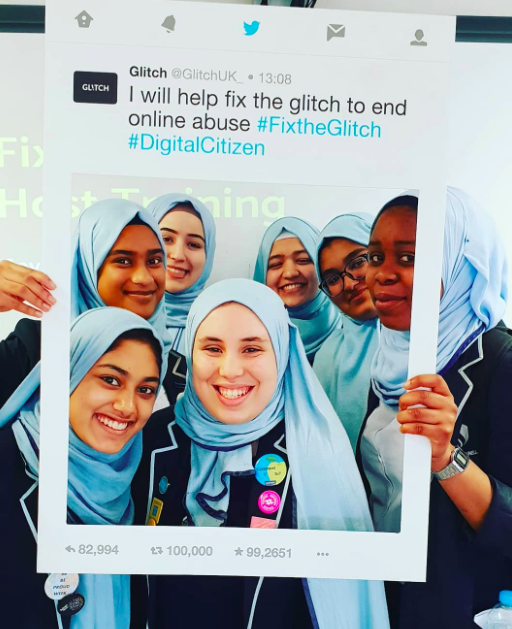 Glitch was founded and is led by Seyi Akiwowo, after she faced horrendous online abuse when a video of her speech at the European Parliament went viral in 2017. Glitch aims to help equip online users to be online leaders, active bystanders and to help fix the glitch. They run Digital Resilience training to equip, empower and mobilise women in, or aspiring to be in public life, to have a flourishing online presence and minimise the exposure to online gender-based violence (OGBV). How will this make Glitch’s Digital Resilience workshops fairer? The grant is enabling Glitch to offer free places at the workshop for 40 women and girls. Spaces will be reserved for women of colour and LGBT women. Glitch will also have a pool of funding available to help subside the cost of travel, both from outside, and within, London. 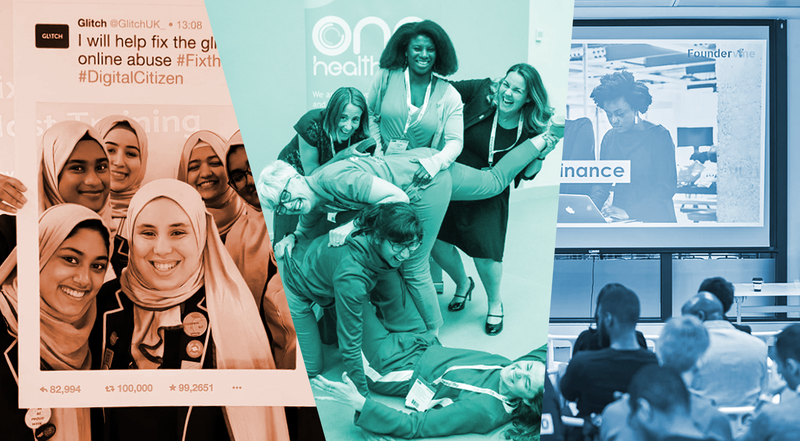 One HealthTech is a free-to-join, grassroots community bringing together thinkers, doers and trailblazers to support and promote women and other under-represented groups to be future leaders in health innovation. They’re all about inspiring, celebrating, enabling and championing diversity in health tech and host and curate regular events, on a range of topics from virtual reality to leadership, data privacy and social care. How will this make One HealthTech events fairer? One HealthTech want to make their resources, and the opportunities they provide, as accessible as possible. Their events vary in form, from breakfast gatherings to lunchtime fireside chats or evening get-togethers. But they are often asked if they can record and transcribe their events for those unable to attend or who have accessibility needs. The grant would support the cost of recording and transcribing so people are able to watch remotely. They also intend to hire a British Sign Language (BSL) interpreter if possible, to help open up this community to an even wider audience. The grant support the opportunity for attendees of a One HealthTech Hub events to apply for support of up to £30 per event should they feel they require financial support to help them interact with the community better. This could be used to help cover any costs they feel are prohibitive, including anything from babysitters and transcribers to transport costs. We were sadly unable to offer support to everyone who applied for a grant, but nonetheless, it’s incredibly motivating to see many more people and organisations apply because they are thinking about the ways they can make their events fairer. And we want to continue to encourage anyone organising an event (tech or otherwise) to think about how many small things might be stopping people from taking part. Is the timing of your event excluding parents who have to do the school run? Does the cost of your event, or cost of travel to it, exclude individuals or small organisations with limited funds? Can people, regardless of ability, access the content of your event? Challenge too, the events you’re invited to attend or speak at. Rob McCargow, Director of Artificial Intelligence at PwC, for example, said at our Responsible Technology 2019 event in January that he’s made the oath not to speak on manels (or all male panels). Lastly, please do share with us in the comments section below, anything else you’ve seen, or would want to see at events, to help make them more accessible and inclusive so we can continue to inspire change. This fourth round of Fairer Tech event grants would not have possible without the generous support of the Electromagnetic Field (EMF Camp). If you’re interested in helping us provide a future round of funding, please get in touch via hello@doteveryone.org.uk. Periodically over the past two years, Doteveryone has been providing a small number of modest-sized grants (£500 each) to people and organisations hosting tech events. The grants are designed to provide immediate and short-term funding for those designing events and committed to making them as fair, accessible and inclusive as possible. 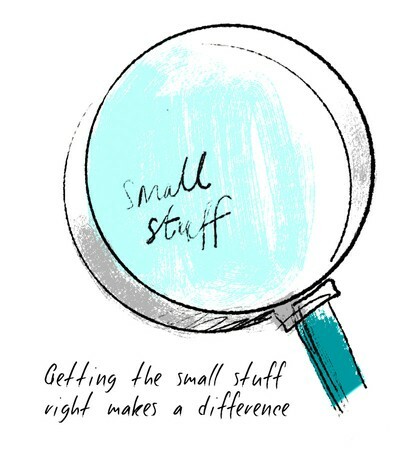 In this time, we’ve supported a whole range of events, that have been taking place across the country, to put in place what are relatively small changes but which make a big difference. They’ve helped provide free support services to ensure young people with disabilities and their carers can participate, learn and contribute fully in Liverpool Makefest, supported the cost of an additional room at OggCamp 2018 for a non-talk focused area for families and supplied equipment and software licenses for makers attending Rebel Makers Birmingham who couldn’t afford their own. You can read more about the events we’ve supported in previous rounds (01, 02 & 03).